Noted on the Soundsair website, www.soundsair.co.nz, is a new flight to Nelson to cope with demand starting on 20 February 2010. Soundsair have been flying to Nelson since 2005 when they took over the contract from Vincent Aviation to fly the Dominion Post newspaper from Wellington. In Novermber 2007, following the purchase of a Cessna Grand Caravan (ZK-SAA), the company announced the addition of four evening flights to Wellington each week. 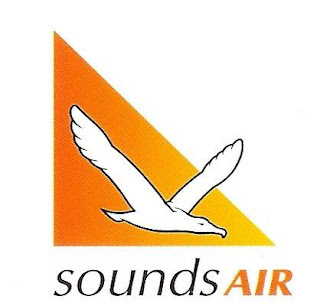 The purchase of a third Caravan and the merger with Nelson's Flight Corporation, saw Soundsair introduce weekday midday flights from 4 May 2009. Since then there have been minor additions to the Nelson schedule. The latest addition brings Soundsair flights to Nelson up to 19 per week. CAN YOU HELP??? 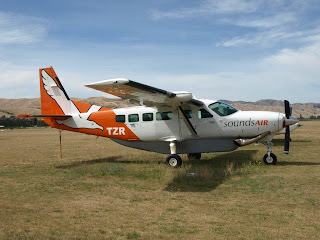 - What was the start date of Soundsair's flights to Nelson in 2005? CAN YOU HELP??? - What was the last date of Soundsair's flights to Kaikoura?